When you remodel your home, choosing new flooring or paint may be simple. Everyone has their own specific tastes and preferences when it comes to hardwood floors or colors for the walls. However, when it comes to fireplace mantels, the decision is much more difficult. There are so many styles of fireplace mantels to choose from, and just as many natural and cast stone options for building the mantel. SoCal Fireplace Mantels is your first choice as a provider of faux fireplace mantels in Thousand Oaks, as well as for British Colonial fireplace mantels, French country fireplace mantels, modern mantels, Art Deco mantels, and rustic fireplace mantels. We also have one of the largest selections of natural stone and cast stone mantels in the area, allowing you to choose the design and colors that fit your room and your tastes. If you are having a difficult time choosing the right fireplace mantel for your home or business, stop by our 4,000 square foot showroom in Van Nuys to speak with one of our knowledgeable sales representatives. 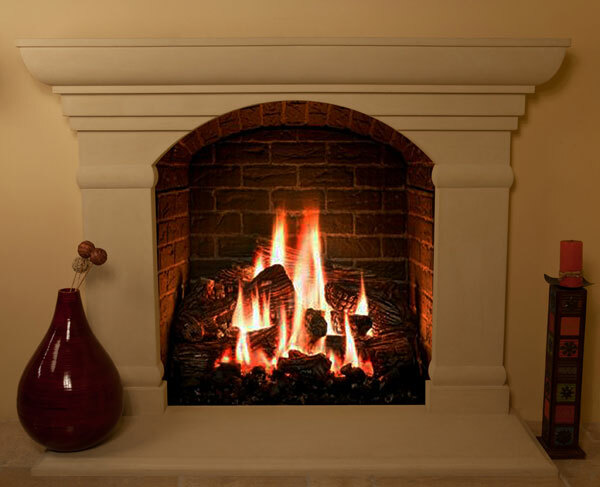 We will be happy to help you choose the right style of mantel and materials for your needs. If you do not see a fireplace mantel that suits your room, ask about our custom design services. One of our design experts will be happy to come to your home or business and design a custom fireplace mantel made exclusively for your fireplace. We will carefully design and craft a fireplace mantel that suits the room, as well as the furnishings and your particular tastes.